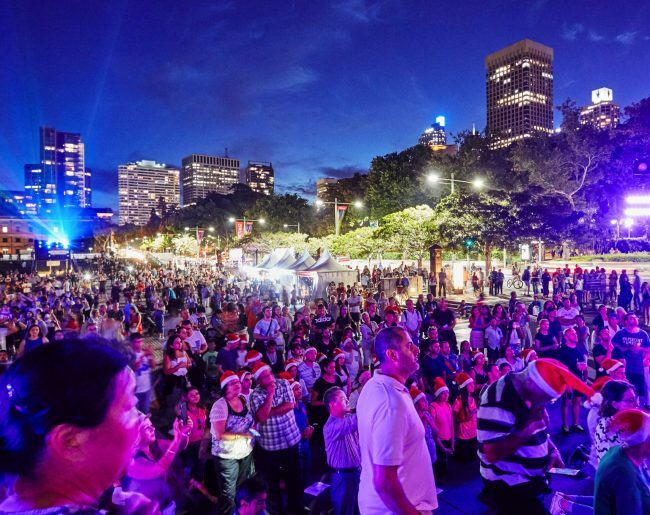 Since 2010, Lights of Christmas has captured the essence of the Christmas spirit for all in Sydney. 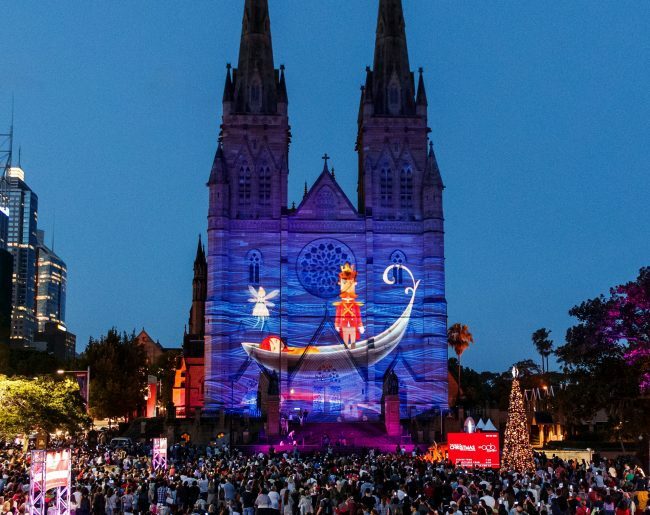 Using creative 3D projection, the façade of St Mary’s Cathedral is brilliantly illuminated with a 15-minute animated show during the weeks leading up to Christmas. 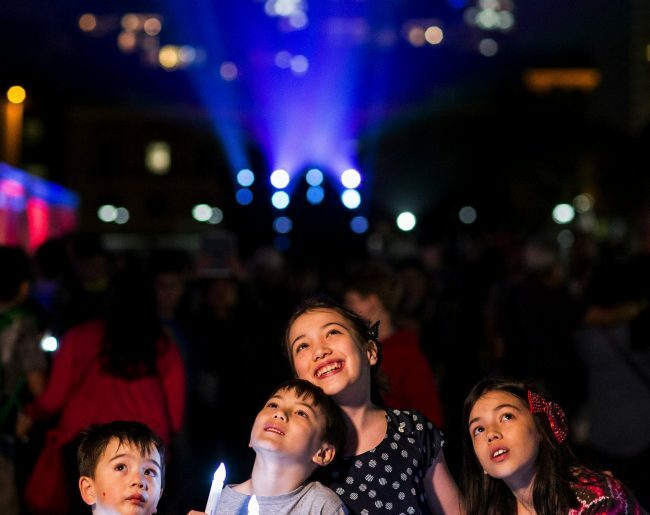 A new show is created each year, always appealing to a culturally diverse audience with stories that resonate with the core of humanity – the hope for peace, joy and goodwill. 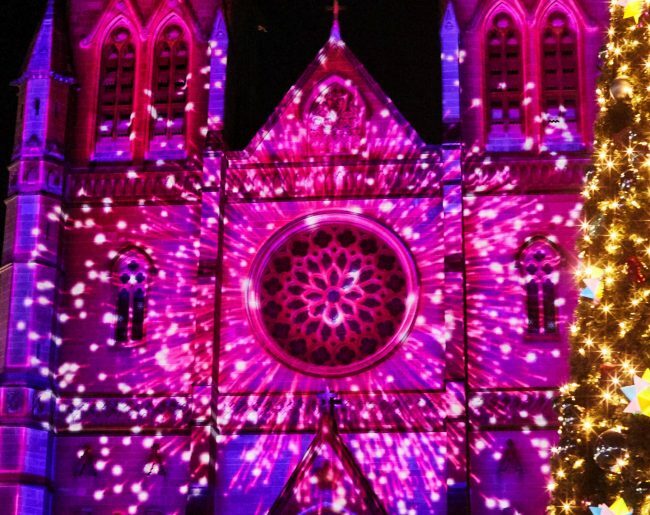 Theme Festive humanity and hope. Peace, joy and goodwill for all. 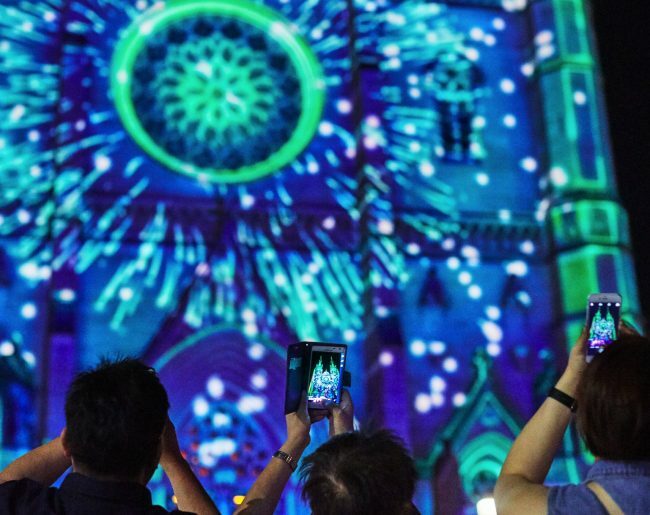 Format Large format building projection with animation and 3D mapping. Duration 3 weeks leading up to and including Christmas night, 2010-2018. Audience A free public event. AGB Events Role Event concept, original content and production.